After a brief teaching career, in 1969 Schakowsky was a young mother and consumer, frustrated by not knowing what items at the store were fresh. She organized the National Consumers Union (NCU), which she says was "a very modest name for six people." NCU members researched the meaning of the coded numbers on products, which were the only way to know the date something had been made, and thus its freshness. The group printed and sold 25,000 "code books", allowing shoppers to make sense of the numbers and buy fresh bread instead of days-old. When NBC's nightly Huntley-Brinkley newscast reported on the NCU's booklet, manufacturers were embarrassed into providing plain-English "use by" dates. 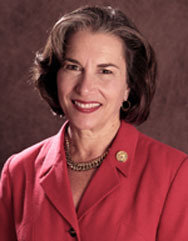 From 1985 until 1990, Schakowsky was the Executive Director of the Illinois State Council for Senior Citizens. In 1989 she organized an old folks' protest against Congressman Dan Rostenkowski, who had supported a law that reduced the amount Medicare would shoulder for medications and catastrophic illnesses, leaving retired and often fixed-income seniors responsible for more of the costs. Due in part to the protests, the law was repealed. Effective as an activist, she entered politics. In 1990 she was elected to the state legislature, and in 1998 she was elected as Democratic Congresswoman for the 9th District of Illinois. Her husband, Robert Creamer, resigned from heading Citizen's Action of Illinois after being questioned by the FBI about a $1M overdraft. In 2004, he was indicted for bank fraud, cheating on his income tax, and check-kiting. He pled guilty and was sentenced to five months imprisonment. Schakowsky has steadfastly maintained her innocence in the matter.